Creative Labs has today announced the pending release of the ZiiO tablet computer, available in 7 inch and 10 inch sizes. 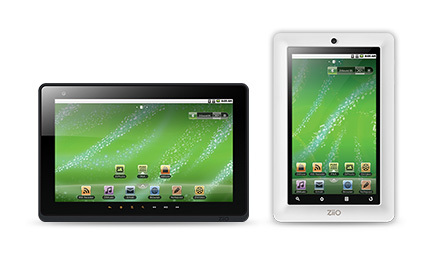 The ZiiO 10 inch is black in colour, and available in a choice of 8GB or 16GB models. 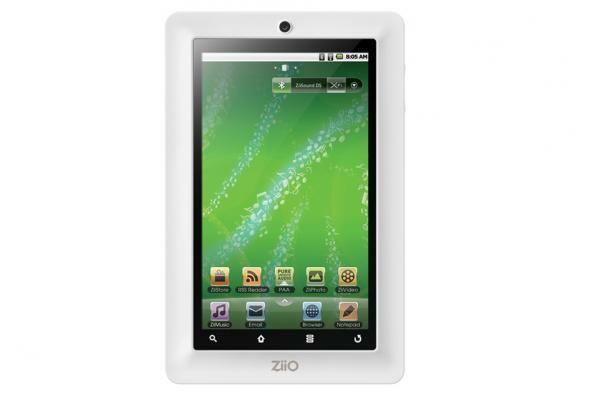 The ZiiO 7 inch is white, and also available in 8GB or 16GB. Both models are given Australian prices, but each size is only given the one price, even though there are two storage size options. 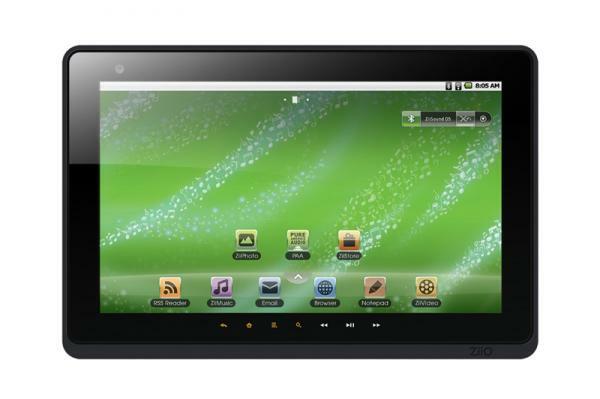 The Australian price listed for the 7 inch model is listed as $329.95, while the 10 inch is $359.95. On the Creative UK site there is a £20 pound difference, in both sizes, in the price for the 8GB and 16GB options. So either the Australian Creative site is incorrectly displaying the pricing, or it is only selling the one storage size in both screen sizes in Australia. No release date is given for Australia, but the UK site names early December release date. But how can one justify almost a hundred dollar difference in the US and Australia. I know where I will be buying mine from … Australian retailers whinge about us buying from overseas… The reason is very obvious, people are going to look for the best prices. I bought recently a camera lens from the US for $300. The identical unit is being sold in Sydney for over $700. This is obviously a far better unit that the junk that is being peddled for the $99.00 – $150 mark. It does not have “Market” installed, but guess that can be added. It has a camera, but can it scan barcodes etc? Its never wise to rush out and buy, wait until the dust settles and then buy. ….after all the faults have been discovered. Indeed. And I’m not justifying the large disparity, I’m just saying that to expect price parity is unrealistic. Shopping for price is to be expected, just be aware that should anything go wrong with the product there will be issues with repair etc. You should be fine, but that’s just something you need to keep in mind. Prices. Why the difference? With the AUD on Parity with the US$. The dollar might have parity, but there is not population parity. A smaller market means they need to make more profit per unit, not to mention there is less bargaining power with the smaller – by a long, long way – population.